DTRL contributed to an anti air missile defense project carried out for TNO within an International Defense Research Program. 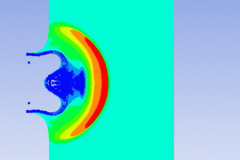 Feasibility of Post-Intercept Spectral Analysis (PISA) is investigated by hypervelocity impact experiments of aluminum cylindrical projectiles on target plates of various materials. 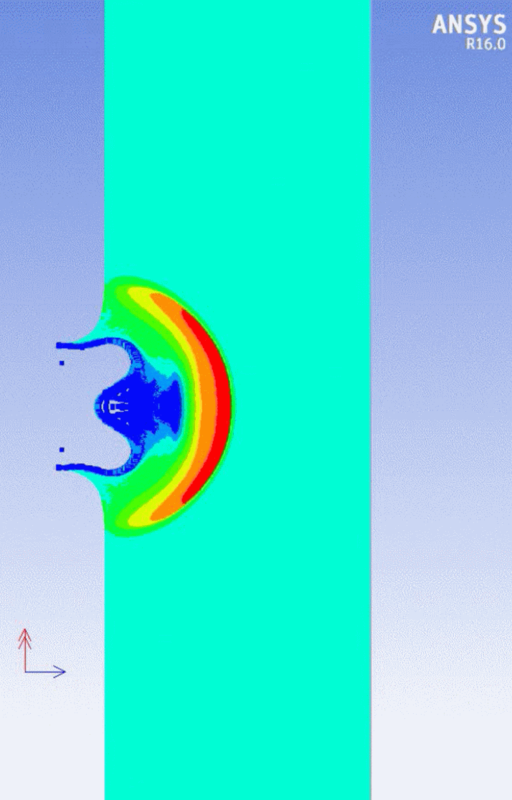 Hydrocode simulations of some experiments have been performed, based on the SPH technique and utilizing the Tillotson metallic equation of state for hypervelocity impact. P-V diagrams visualize sublimation of the material into the gas phase and temperatures are predicted up to 3500 K. Future work will focus on the prediction of emission spectra based on present simulation results.